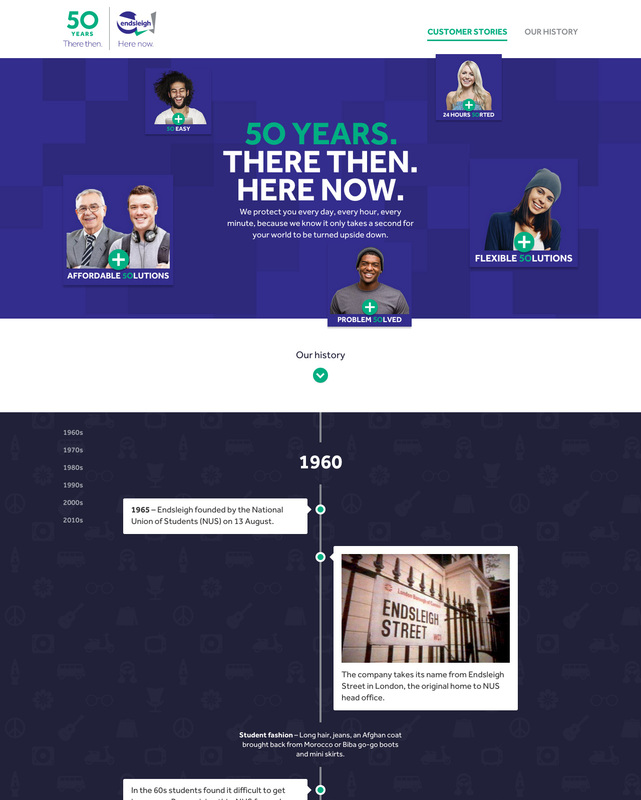 ‘Endsleigh Jubilee’ is a digital timeline-themed One Pager to showcase milestones, quotes and media from the archives of Endsleigh Insurance’s past 50 years. Nice touch with the icon wallpaper pattern changing to match the decade you are browsing. The website was built on the Middleman front-end framework and includes dozens of custom icons to help represent the decades.